"A Son's Courage. A Father's Love." Bambi finds his father, who is the Great Prince of the Forest, after his mother is killed. He meets his friends Thumper and Owl who help to care for him while he is young. Soon, Bambi meets a doe who he falls in love with. Hunters enter the woods where the animals live, and Bambi's father orders him to stay in their den, but Bambi disobeys, learning that the hunters are the ones who killed his mother. 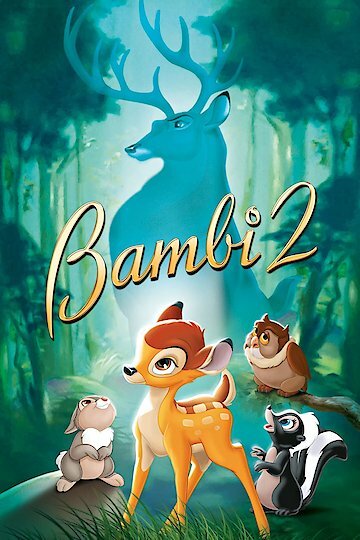 Bambi II is currently available to watch and stream, buy on demand at Amazon, Vudu, Google Play, iTunes, YouTube VOD online.